Lagwagon@fatwreck.com to secure your spot. (And if you don’t live in the Bay Area and can’t make it, PLEASE don’t RSVP!) 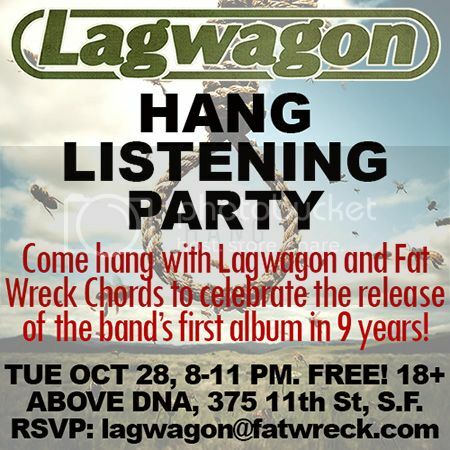 And don’t forget to get your tickets to the Lagwagon tour with Swingin’ Utters, November 9th at Slim’s in S.F. and 29 more shows throughout North America!